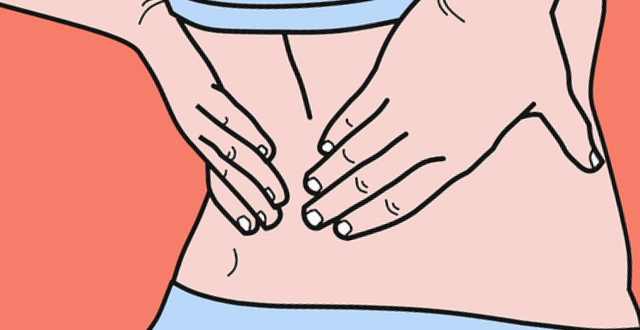 Back pain is quite common, in fact, practically everyone has suffered it at some point in their lives. However, there are those who live with type of pain on a daily basis. To avoid back pain it is essential to take care of it properly, and that is precisely what we will learn to do in this post. Read on and find out how to watch your back. Quality of life is a somewhat complex issue to define. Normally, it is usually linked to the economic issue, but when we suffer from some kind of illness or severe pain we realize that money is not everything. Health should always be our most precious asset. Just for the sake of good health, we should be satisfied. That is why it is so important to take care of your back, to avoid these tedious pains that diminish your quality of life. Working life: there are jobs that endanger the health of the back. A clear example of this is jobs where excessive physical exertion is required for hours. It is very important to lift or move heavy objects with a good posture, greatly reduces the risk of suffering lumbar and dorsal pain. On the other hand, a priori office work should not affect your back so much, but it does. After so much sitting, the back tends to curve and a series of tensions are generated that can lead to contractures. Low physical condition: Being physically fit helps prevent injuries to any area of the body, including the back. In addition to training the back muscles to make them stronger and more resistant, it is also important to strengthen the abdominal girdle. The purpose of the abdominal muscles is to support and protect the lower back, the area where most back problems occur. Ageing: one thing is clear, the years go by for everyone and sooner or later it is logical that pain should appear, especially if we have not adopted a correct posture over the years. But there’s no need to be alarmed either, you’re always in time to change. How to take care of your back? Avoiding overweight: carrying more kilos than we are entitled to is not only an aesthetic problem, but much worse, it means punishing the back day after day. If this tonic is maintained for a long time, with total certainty, in a few years the pain will increase. Therefore, we must follow healthy lifestyles such as sports and nutrition. Maintaining a good posture: as we have mentioned above, adopting a good posture is non-negotiable to free the back of tension. To achieve this there is a little trick, whenever possible tighten the abdomen and place the shoulders back.